4 miles on the schedule today. I'm getting awfully temped to use the treadmill but I ran 4 miles outside in the pouring rain. I hate to break the streak since I'm almost at two years of no treadmill. So I'm really excited to do my first giveaway of the year and it's for a product I have come to know and love and believe in. It's for the new Injinji Performance 2.0 line of toe socks. 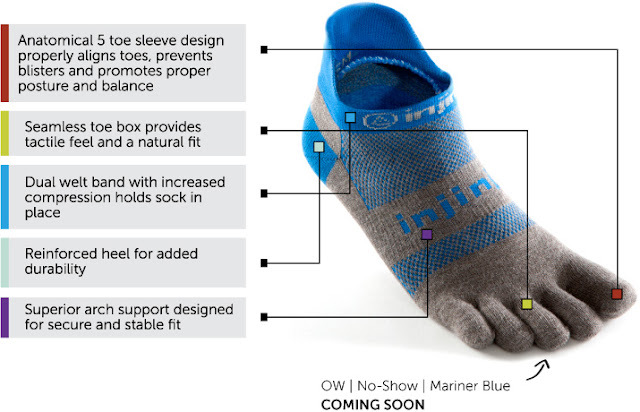 I've run in most everything Injinji offers except I have not tried the Yoga toesocks. Given that I'm getting into Yogo, they may be next on my list. Injinji's are one of my "goto" brands of socks especially for running. I received four pairs of their new socks to test out and I'm already testing them out for a complete review forthcoming. Their new campaign is these are great socks for any shoe. I could not agree more. 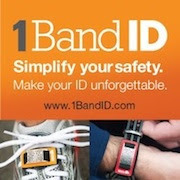 Not just for road and trail running but for biking and any other sports along with everyday use. I even wore mine to work all day last week as well. They are so comfortable and I don't even own a pair of Vibram's Five Fingers. You can wear them with any shoe. They come in all difference weights and lengths. My favorite are currently the light weight, micro length for summer and the mid-weight mini crew length for winter. So how would you like to try their new line of toe socks? The winner will have an opportunity to get four pair - YES, you heard that right, four pairs of their new Performance 2.0 line. It's that simple! Contest will end on Tuesday, February 5th at Noon and a winner will be announced on Wednesday, February 6th. Good luck! 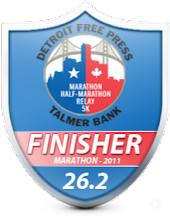 Oh, and may sure you follow Detroit Runner on the blog, Facebook or Twitter for future opportunities to win stuff! *Note: I receive four pair of Injinji's Performance 2.0 toesocks in exchange for this giveaway. All opinions here are my own and I was not required to endorse them. Left comment on their fb page. I am really interested in their compression socks. The one thing I don't care for about compression socks is that they are often too restrictive in the toe area, but I don't always want to wear just a calve sleeve version. Hoping you got some of their new compression socks to review. Look forward to hearing your opinion. Great job getting in miles during that heavy rain this morning! I'm completely interested in their compression socks as well. I"m glad they are going down that route! I like that these socks help prevent blisters! I like how each toe is protected. I've been wanting to try these socks for a while now. I like the different ankle lengths of the socks, since I like to switch up my socks sometimes depending on what shoes I'm wearing and sometimes it's more comfortable to have a different length sock with a particular pair of shoes. Plus toe socks are awesome to wiggle in! I like that they are Seamless - no rubbing issues with seams! I've heard lots of positive reviews about Injinji and, as someone frustratingly prone to myriad blisters no matter what socks I wear, love the potential of less blisters! ....and they also just look intriguingly comfortable! I like the description about these socks aid in blister prevention. As someone who had major nail and blister issues last year, I am definitely going to give these a try. love the fact that each individual toe is protected to help prevent blisters! I would love to try them and see if it can prevent blisters. I always get a blister in the same spot on my right foot. I try and run a couple of times a week in my 5-fingers and in winter it's gets a little cool (note I say cool not cold) so it might be nice to try a pair. Love the old ones - but can't wait to try the new 2.0. Improved arch support seems like a great addition. I like the fact that they help prevent blisters. Been there, don't want to go back. 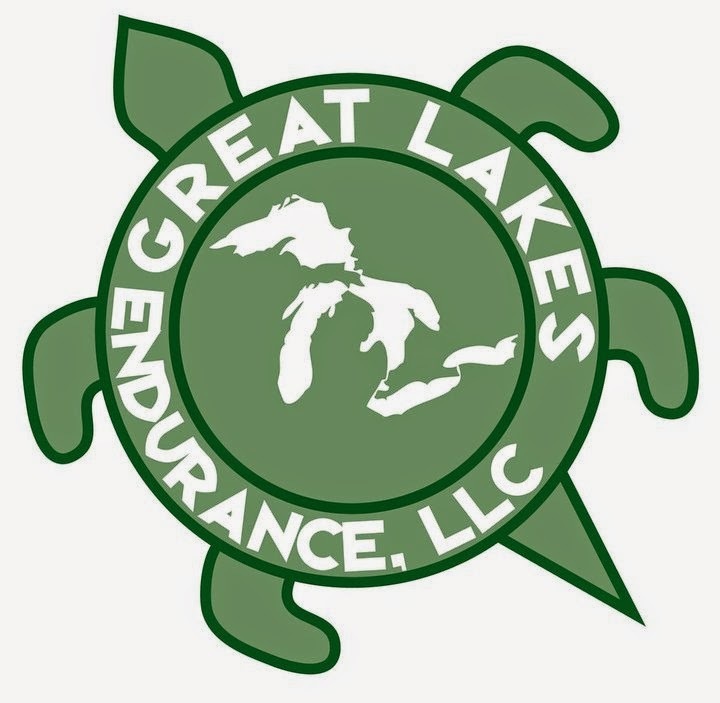 As a runner it was one of the most painful "injuries" I ever had. I really like the look of the Performance Original Weight Mini-Crew, seems like a great training sock. I Love that their low socks come in so many colors. Colorful socks make my toes happy :) I also am very interested in their new compression socks. I posted to their facebook page "Check out the Injinji giveaway from www.detroitrunner.com"
I like that they have a "over-the-calf" size. It's difficult finding socks that big! No seams = no blisters!